The Thanksgiving turkey we all know and love — to eat, that is — is the product of nearly a hundred years' worth of selective breeding. Over the years new breeds of the popular fowl have been created to suit consumer tastes, which has resulted in the average turkey Americans eat today. This Thanksgiving, you most likely will be feasting on Broad Breasted White turkey, like the one President Obama was pictured with below in 2015 at the White House’s annual turkey pardon. This is the most commonly used breed of domestic turkey today. The breed’s white feathers can be owed to selective breeding. 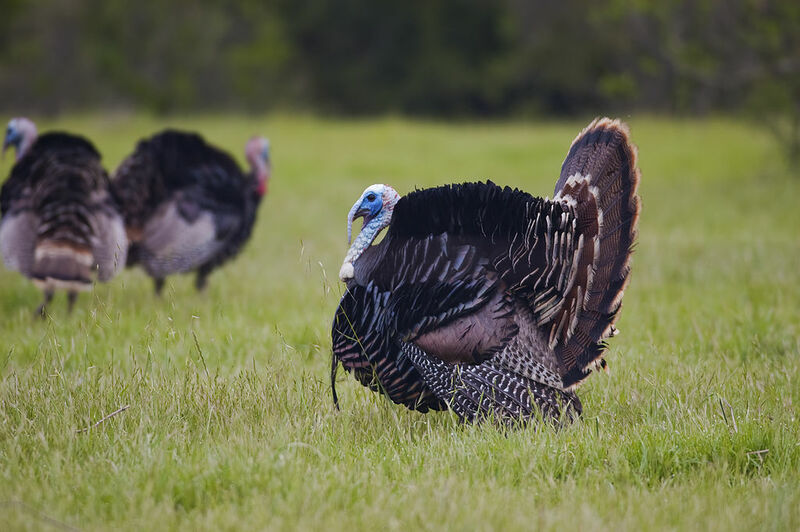 According to Julie Long, a researcher at the U.S. Department of Agriculture, dark spots can sometimes be found on turkey meat due to pigmentation of colored feathers. Most consumers would likely consider turkey meat covered in dark spots to appear unsightly. So, it has become common practice to breed turkeys in order to achieve colorless plumage, which results in meat void of these spots. The Broad Breasted White dominates today’s turkey market. However, this genetic selection comes at a cost. Traditional turkey breeds are slowly disappearing as the Broad Breasted White continues to be the most popular choice for Thanksgiving dinner. Frank Reece raises turkeys on his farm in Lindsborg, Kansas. He is a member of a declining population of farmers that raise heritage turkeys. These are the breeds that date back to the 1800’s. According to Reece, the Standard Bronze is what was eaten at the first Thanksgiving and was the bird that fed America from 1850 until 1950, when genetically engineered breeds began to grow in popularity. This year, the Standard Bronze will make up less than 1% of the turkeys served on Thanksgiving. It makes sense for the Broad Breasted White to be America’s No. 1 choice. This breed grows much faster than a heritage turkey, offers more meat, and comes at a lower price than heritage breeds. However, this efficiency comes at a price. The Broad Breasted White has been bred to be quite large and, as a result, it is unable to fly on its own. This weight is also responsible for a number of health issues. Many of these turkeys suffer from heart disease, respiratory failure, and have shorter life expectancies than other breeds. According to US News, the turkeys pardoned by President Obama in 2010 died the same year due to health issues that came as a result of selective breeding. This Thanksgiving, consider a variety of options when choosing a turkey. The higher price tag of a heritage breed not only helps a struggling industry, but is by far the most authentic route to take.